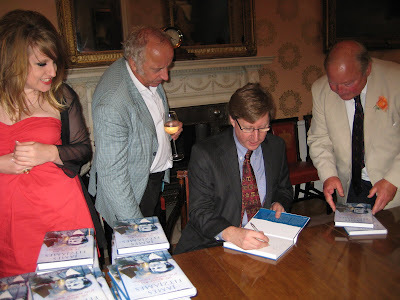 I simply couldn't have been more delighted by the launch party for 'James Fitzjames: The Mystery Man of the Franklin Expedition' yesterday evening at Trinity House. It's a wonderful venue and I was so pleased that so many people could come. As well as family and friends, it was a deeply moving experience to meet so many people who are related to the people in James Fitzjames' life, including descendants or relatives of Francis Crozier, Graham Gore, Joseph Geater, Robert and William Coningham and Sir Leopold McClintock. Many thanks to Trinity House and Mint catering for looking after us all. Five Stars! Congratulations! I am eagerly awaiting my copy in the US sometime this month!